A popular development of new homes in Leeds city centre has completed this month, following the meticulous renovation of several derelict office buildings on Brunswick Court, which sits between Regent Street and North Street. The 39 homes, which have been sold to an investment group, will now help to address the shortage of quality rental property available in the Mabgate and SOYO Quarter of Leeds. 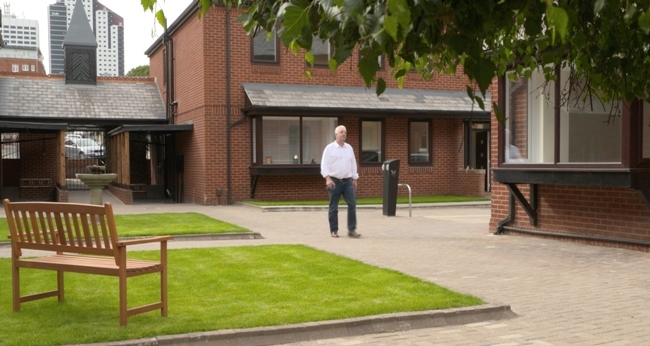 Development company Gold & Amber spent 12 months converting the 35 year old buildings into one and two bedroom homes, all based around an attractive central courtyard. Designed by Leeds based Brewster Bye Architects, the quality build and specification, alongside the central location, have made it the ideal place for young professionals to rent. Patrick Finn from Gold & Amber said: “We are very proud of Brunswick Court where we have revitalised several disused buildings creating top-end homes in an easily accessible city location. Brunswick Court is the third development that Gold & Amber has delivered in Leeds in the last three years. The company is now working with Brewster Bye Architects on a recently approved development of 52, one and two bedroom apartments within a former church building, which fronts onto York Road close to Quarry House, in Leeds city centre – known as Lucent Square. Chris Austin, managing director at Brewster Bye Architects, said: “It’s no surprise that Brunswick Court has been such a success. The secure development all centres around the attractive courtyard, creating a sense of peace of tranquillity in the heart of the city. Gold & Amber are sticklers for quality, which is evident throughout the development. The kitchens and bathrooms are particularly high-end and anyone renting here won’t be disappointed. “We are delighted to be working with the company on its latest project, which will see a former church transformed into a five storey residential building with ground floor retail space and parking for 34 cars. Gold & Amber is the company behind the successful North Crescent development, which saw 46 new two-bedroom apartments delivered in Leeds city centre. The company is also currently working on converting a neglected 1960’s former halls of residence into 44 stylish apartments on Commercial Road in Kirkstall, known as Kirkstall Gate.